Most of the plants which are listed in 3.3 are endemic. Some are strict endemics (Anthemis filicaulis, Carlina diae), some are endemics of the site (Campanula pelviformis, Campanula spatulata ssp. filicaulis, Asperula crassula), some are endemic of Crete and its satellite islets (Serratula cichoracea, Campanula creutzburgii, Asperula rigida, Muscari speitzenhoferi, Tulipa cretica, Teucrium alpestre, Hypericum amblycallyx, Ebenus cretica) some are endemics of the south Aegean islands and/or Cyclades and/or Dodekanese (Atriplex recurva, Carlina sitiensis, Centaurea raphanina ssp. raphanina, Crepis cretica, Crepis tybakiensis, Teucrium gracile, Limonium sitiacum, Limonium frederici, Cyclamen creticum, Allium rubrovittatum, Muscari dionysicum, Nepeta melissifolia, Stachys mucronata, Filago aegaea sp. aegaea, Dianthus fruticosus ssp. amorginus, Salsola aegaea, Salsola carpathia, Arenaria aegaea (=Arenaria serpyllifolia ssp. aegaea), Asperula tournefortii , Nigella doerfleri, Anthemis ammanthus (with two subspecies in the area) or of Greece (Cymbalaria microcalyx ssp. dodekanesi with a rare endemic subspecies in the area, Ornithogallum creticum, Melica rectiflora, Symphytum creticum).There are some plants that their presence in the area is the only (or one of the few) european presence of the species. The species Cistanche phelypea is a plant of the African deserts but it is rarely found in the sites area; in Crete it is near the northern limits of its distribution and otherwise it occurs only in the Iberian peninsula in Europe. Allium longanum (rare in Greece and vulnerable in the world according to IUCN, 1993) is found in very few south Aegean islands and islets and also in Libya and Egypt. Also the African species Viola scorpiuroides is found in Crete and in Libya. The species Onosma graeca is generally found in NW Anatolia, out of Greece. Galium canum ssp. ovatum Cretan area East Aegean Islands & Turkey. Filago aegaea ssp. aristata is a plant with distribution in S & E Aegean, Ionian Islands, Kriti and Cyprus. Cynara cornigera is a species with distribution in S. Greece, the Aegean and Cyprus. Silene fabaria is an Aegean region endemic (occurring only in W Anatolia out of Greece). Teucrium brevifolium is found in Anatolia, Egypt and Libya out of Greece. Brassica cretica ssp. aegaea is a chasmophyte with distribution in Greece, SW Anatolia, Mt Carmel. Didesmus aegyptius is an east mediterranean element, islet specialist. Euphorbia dimorphocaulon is a mediterranean species with distribution in Crete S Turkey and Cyprus.Most of the plants can be characterised as rare, some species are considered vulnerable, while relatively few species are common. Parietaria cretica is a species with distribution in Sicily, Greece and the Aegean region. Polygala venulosa is a species with distribution in S Greece, the Aegean, Anatolia and Cyprus.The following species are protected by the Greek Law (Presidential Decree 67/81) and are included in the IUCN Red Data List (1993) in the category of threatened plants and in the European Red List of Globally Threatened Plants characterized as "rare": Anthemis filicaulis, Asperula tournefortii, Campanula creutzburgii, Carlina sitiensis, Crepis tybakiensis, Dianthus fruticosus ssp. amorginus, Hypericum amblycalyx, Limonium frederici, Muscari dionysicum, Nigella fumariifolia, Salsola carpatha, Viola scorpiuroides.The following species are protected by the Greek Law (Presidential Decree 67/81) and are included in the IUCN Red Data List (1993) in the category of threatened plants: Centaurea aegialophila (vulnerable), Nigella fumariifolia (rare; found in Greece and in Cyprus).Tulipa saxatilis is protected by the Greek Law (Presidential Decree 67/81)The strict endemic species Carlina diae is protected by the Bern convention (revised appendix I, 1992) and by the Greek Law (Presidential Decree 67/81) and is included in the IUCN Red Data List (1993) in the category of threatened plants and in the European Red List of Globally Trheatened Plants characterized as vulnerable.The orchids Anacamptis pyramidalis, Ophrys fusca are protected by the CITES Convention (Annex C).Lygeum spartum in the area is important. This species belongs to the desert-like floristic element, occurring only in steppe communities in Kriti in Greece (it occurs at similar habitats in Spain, Sardinia, Sicily, Italy in Europe); it is one of the very rare grasses in Greece (Damanakis & Scholz, 1990). Distribution in Europe: at similar habitats.Note: The IUCN characterizations given concern the plants status in Greece unless otherwise stated.Concerning the animals, there are a lot of invertebrate endemic species and some vertebrate endemic subspecies. Regarding the reptiles one can say that their presence is quite important. On Crete the reptiles are found in isolated small populations while on the islets there are endemic subspecies. The species Hemidactylus turcicus is protected by the Greek Law (Presidential Decree 67/1981) and by the Bern Convention (appendix III). The species Cyrtodactylus kotschyi , Coluber gemonensis, and Telescopus fallax are also protected by the Bern convention (appendix II) and are considered species of Community interest (Annex IV, Directive 92/43/EEC). Lacerta trilineata and Podarcis erhardii , besides being legally protected by the above law and convention, they are also considered species of Community interest (Annex IV, Directive 92/43/EEC). For Chameleon chameleon (which is not listed in 3.3), cautiousness is needed. There are few old records from Crete which need confirmation. But if this species is present on Crete then it is very rare and needs special attention. It is considered a species of Community interest (Annex IV, Directive 92/43/EEC), included in the National Red Data Book and protected by the Greek Law (Presidential Decree 67/1981), by the Bern Convention (appendix II) and by the Convention on the Conservation on International Trade in Endangered species of wild fauna and flora (CITES). The mammal Pipistrellus savii is considered species of Community interest (Annex IV, Directive 92/43/EEC) and protected by the Greek Law (Presidential Decree 67/1981) and by the Bern Convention (appendix II)Most species of the land snails mentioned in 3.3. are endemic of the site or of Crete. The Dyonisades group has been characterised as an Important Bird Area, especially for birds that live at cliffs. The sea fauna and flora is quite interesting since in this area one can find Ruppia cirrhosa which is rare in Crete. On the west side of Sidero peninsula flocks of Tursiops truncatus (species listed on Annex II, Directive 92/43/EEC) have been observed.Apart from the important species of fauna and flora there are also archaeological and fossil findings in the area. The Dionisades islets and Elasa islet are uninhibited. The Dyonisades islets group consists of Permian limestone while Elasa islet consists of dolomites and limestones of upper Cretaceous. The vegetation on the islets is phrygana. Near the sea there are halophilous plants. In the larger islet of Dyonisades group as well as on the opposite coast of Crete the coastline is characterized by sea cliffs. 14) Damanakis M. & H. Scholz. 1990. Phytogeographical notes on the Poaceae of Greece. Willdenowia 19:413-423. Grimmet R.F.A. & T.A. Jones. 1989. The Important Bird Areas in Europe. ICBP Technical Publication No. 9, p. 906. (3.2.a.,b). 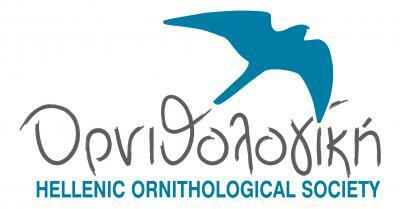 Hellenic Ornithological Society & National Agricultural Research Foundation. 1994. 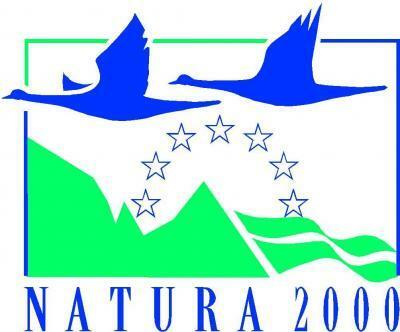 Survey and evaluation of Biotopes and investigation of the possibility for inclusion in the Community Network of Special Protection Areas according to the Article 4 of Directive 79/409/EC for the conservation of the wild birds. Phase A. Rapid ornithological assessment of 16 biotopes. ENVIREG Project. Ministry of Environment, Physical Planning and Public Works. Athens. p. 138. (3.2. a,b).